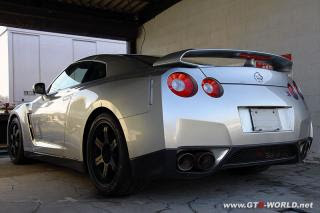 Home > Vspec > Nissan R35 GT-R Vspec ? Is this the R35 GT-R Vspec ? The speculation is that the wheels, which look similar to a TE37 may denote this car as a Vspec version. The picture is from the Sendai track.